The Pedalling the Great Victorian Rail Trail with Landcare project focussed on controlling woody weeds, CALP Act-listed, and Weeds of National Significance (WONS) in key areas of the rail trail as well as planting native plants. Weed removal and revegetation to in-fill gaps and understorey diversity in the natural vegetation has ensured the improved condition and connectivity of the native vegetation. With the assistance of community groups such as Limestone CFA, CVA, Landmate Environmental Works Team, Yea High School students and contractors from Habitat Land Management and Landscape Change the Upper Goulburn Landcare Network has controlled weeds along approximately 32 kilometres of the rail trail. Yea River, Yellow Creek/Dairy Creek, Merton and Home Creek/Spring Creek Landcare Groups, Yea High School students, Murrindindi Shire Council and CVA assisted to begin the revegetation of degraded sections of the rail trail, planting 2,000 local indigenous trees and shrubs. The project has allowed for the increase in community engagement and allowed the group to host four community planting day events along the length of the rail trail. Working bees at Homewood with members of the Yellow Creek/Dairy Creek Landcare Group, school students and other members of the community helped to control woody weeds and maintain the revegetation areas at the site. The group members now have the skills to be able to confidently undertake future working bees at the site with other members of their landcare group and help maintain the site. The VicTrack funded project has improved the habitat quality of the endangered EVC’s: Box Gum Grassy Woodland; Plains Grassy Woodland; and Floodplain Riparian Woodland, through the weed control and enhancement planting undertaken. The installation of nest boxes has shown to have had an instant benefit to local wildlife with Sugar Gliders and Owlet Nightjars already observed using them. 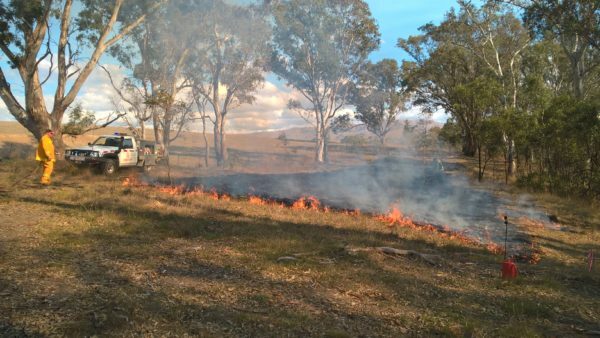 Three ecological burns helped to control weeds as well as promote new growth and increase native species diversity in high conservation grassland areas of the rail trail around Limestone and Cheviot. 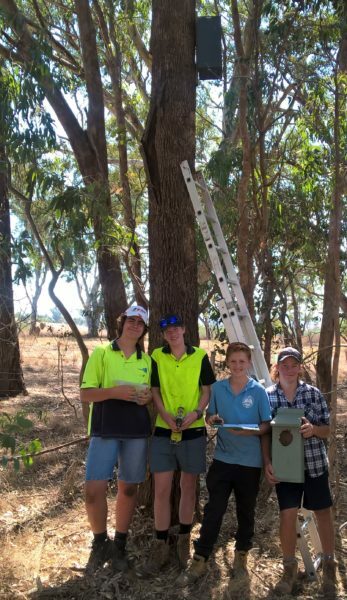 With the assistance of the Yea High School woodwork teacher and students, 40 nest boxes were constructed and installed with the student’s help, along the rail trail in areas lacking in natural hollows.